A defeat to league leaders Pulborough RFC means that Wanderers’ promotion hopes now rest in the results elsewhere in the three remaining fixtures. Wanderers fell 18-0 behind after only 12 minutes but clawed themselves back into the game by halftime through tries from Brad Teall and Charlie Knight with two conversions and a penalty from Sam Rolfe to trail by just a point at 18-17. Pulborough moved further ahead in the second half through a try and and three penalties before a late try for Thanet from Charlie Knight made the final score 32-22. The result moves Wanderers out of the promotion places into third place eight points behind Pulborough and four adrift of Haywards Heath. 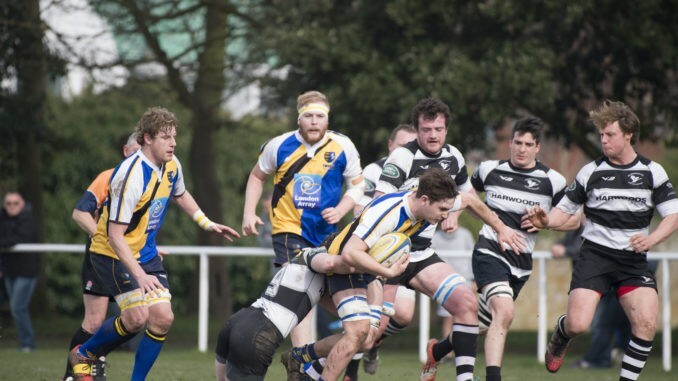 The first XV resume league action on March 25 with a long trip to Eastbourne who are battling relegation one place off the bottom of the league.